Lincoln was a major trading area in Viking times. Many of the objects you will see were found by archaeologists just outside the museum in Flaxengate. Ideal for two classes, but can be booked for one class or even three. Includes a tour of the artefacts, a selection of crafts, object handling and a visit to the Big Dig. Ideal for a single class. Find out about the men who came from the north. This consists of an introductory session followed by two sessions lead by the Investigate team and a craft activity lead by your staff. 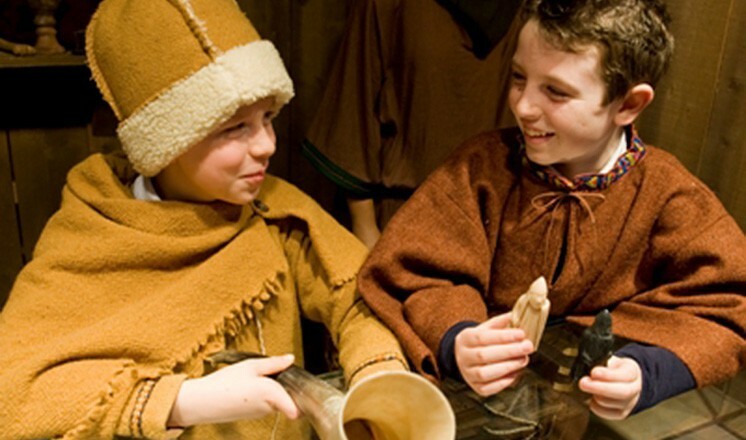 You can choose from the following workshops: Viking clothing activity (learn how Vikings made their clothes and dress like a Viking), Viking shopping (including a chance to barter at a Viking market), a visit to the Big Dig, a play about Canute and a tour of the Viking artefacts in the museum. The objects you can make in the craft activities include a Viking comb, a shield and a Viking bead necklace.